The Hard Rock Cafe is famous for its many locations in cities around the world, and its Hard Rock Key West is the Southernmost member of the chain in the continental United States. The cafe is primely located in the center of the action on Duval Street, and features the American cuisine and rock ’n’ roll memorabilia of its other restaurants — but with a tropical twist. Boots from Jimi Hendrix, a velvet jacket from Stevie Nicks, and a Les Paul guitar that was broken in concert by the band Nine Inch Nails are showcased, among others. It’s particularly evident how special this Hard Rock Cafe is when dining al fresco on their patio, where you can feel the ocean breeze. Whether you go for a fruity cocktail or a full dinner, the Hard Rock Cafe Key West blends seamlessly into its surroundings. Accompanied by music playing from the stereo or one of the live entertainment acts, it may be the ultimate cheeseburger in paradise. 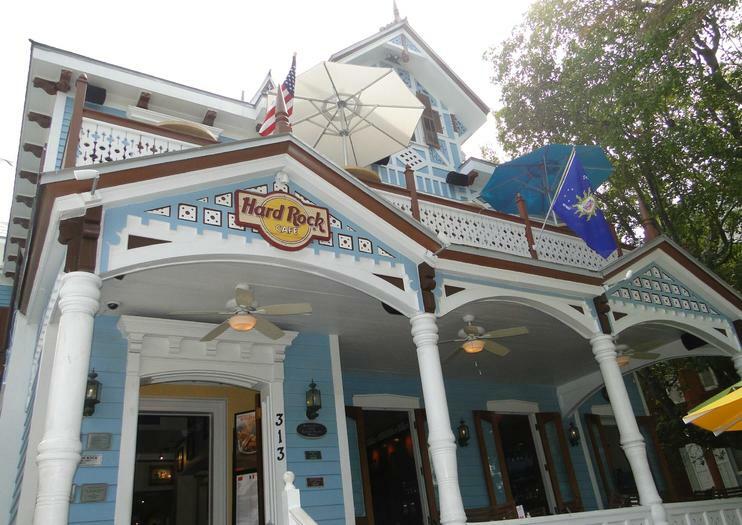 You’ll find the Hard Rock Cafe Key West on Duval Street, where it is open from 10:30 am to 11:30 pm (or later!) everyday. Metered parking is available on the streets nearby.